This is my go-to book for body science as it relates to yoga. Just yesterday, I consulted it to see what Mel Robin knows about thermal sensors. Well, he knows a lot. I can’t recall a time I’ve looked something up and was unable to find it in this book. It is ubercomprehensive – a tome of body science for yoga teachers with over 1000 pages in the second edition. 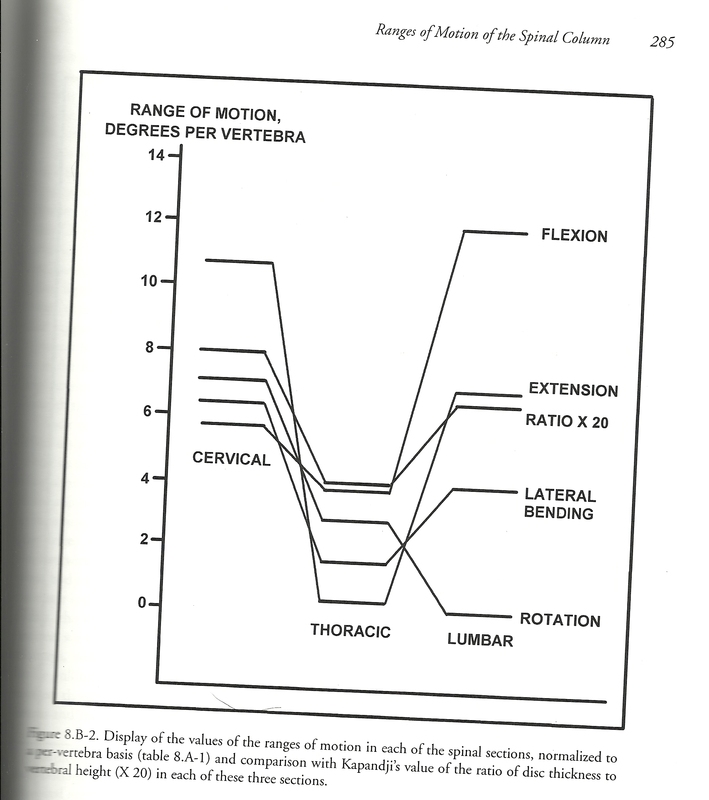 One of my all time favorite sections is “Ranges of Motion of the Spinal Column.” The figure below (from Robin’s book) combined with data from a separate table taught me that the thoracic spine has 3 times the range of motion as the lumbar spine. So, when your yoga teacher instructs you to twist deeper from the base of your spine (as I used to do), you are likely trying to rotate your lumbar spine beyond its safe range of motion. Don’t do that. The thoracic spine has 3x rotational ROM as lumbar spine. 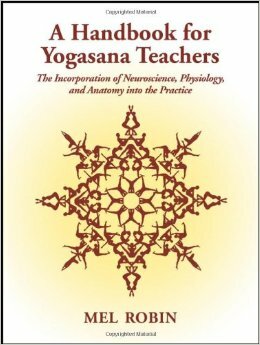 (I’ll review it another time), it’s more important than ever for yoga teachers to understand if and how science backs up claims related to the anatomical/physiological benefits of yoga. Robin’s book does just that. It looks at the science behind the asana.